Concerned Gulf Island residents are planning to round up their boats near Gabriola Island today to draw attention to a proposal to moor large vessels in the area. Concerned residents of B.C. 's Gulf Islands are planning to round up their boats near Gabriola Island today to draw attention to a proposal to moor large vessels in the area. Debbie Cook is planning to attend the floating rally on Sunday afternoon. "They'll be travelling the route where the anchorage sites are proposed to be ... and then they'll create the perimeter to demonstrate the actual size of one of these cape-size vessels," said Cook. Cook and other Gulf Island residents say they haven't had any say regarding the proposal to create five new anchorages in the area. "There's been no voice from the public," said Cook. "[The idea] would create both environmental and economic impacts that, to our knowledge, have not yet been assessed." 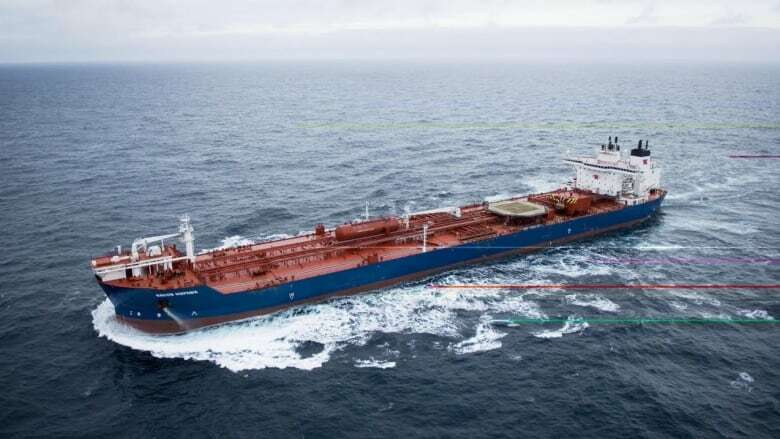 The proposal comes from the Pacific Pilotage Authority of Canada, which says the new anchorage space is needed, partly because ships are getting larger. 'If we're going to be a trading nation, which we are, then we need to be able to accommodate the ships that are coming in to pick up the products that Canada is selling," said the authority's CEO Kevin Obermeyer. Obermeyer says the authority is currently gathering more research on the issue and will hold a meeting with Gabriola Island residents in early 2016, after which they'll have 90 days to respond.